In a world where a casual midi dress can cost anywhere from hundreds to thousands, it’s always refreshing to find one (or multiple) that you love, without the jaw-dropping price tag—at least we feel that way. That’s why we’re sure our like-minded readers will appreciate today’s roundup of under-$40 midi dresses that you can literally wear every day this season (and next). From simple (yet effective) skater styles to a statement off-the-shoulder number that will get you all the compliments, we’ve got something for everyone, thanks to our very own Who What Wear collection. 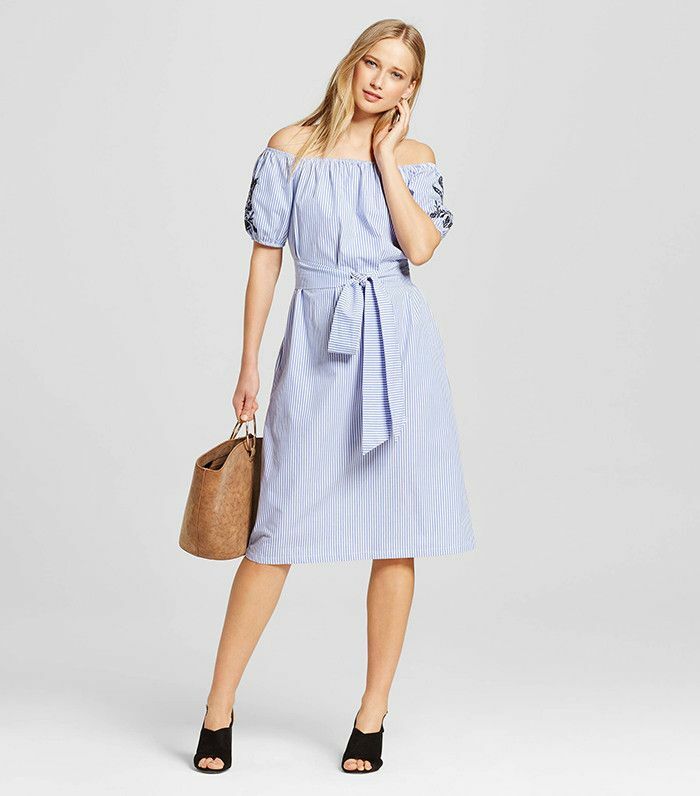 Shop our favorite midi dresses from the collection below, and see the rest of our spring offering (including shoes) at Target! Let this be your statement piece of the season. Do you own a little red dress yet? If not, this is a worthy contender. Also available in sizes 1X to 4X. We love an ever-so-flattering belted dress. Can you ever have enough floral dresses in spring and summer? To nail the street style look, mix this striped dress with other prints, like a spring-ready floral. Olive green is practically a neutral, so you can rest assured this will go with everything in your closet! This gray dress is like a blank canvas for all your favorite jackets and accessories. You're looking at your next brunch outfit. This dress plus a sock-and-heel combo is outfit goals. Wear this with heels and a leather jacket to your next event. What would you like to see us design next? Tell us in the comments, and you just might inspire our next collection!